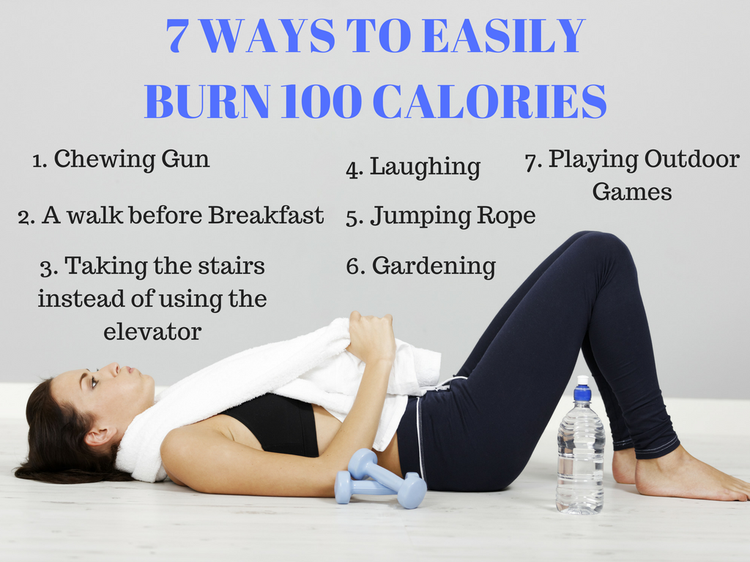 Though performing some workouts and exercises at the gym helps in burning more calories, 100 calories can be easily burned by performing our everyday chores around the house. In our daily life, we perform a number of normal and routine activities, such as breathing, standing, and walking, that helps us burn calories to some extent. Though performing some workouts and exercises at the gym helps in burning more calories, 100 calories can be easily burned by performing our everyday chores around the house. Chewing gum stands out to be a good option that helps in refreshing one’s breath, defeating cigarette longing, improving memory power, and aiding in losing weight. Apart from all these gains, gum-chewing cuts out 11 calories for every 12 minutes for a standard test subject (a woman weighing about 150 pounds). A report from the Mayo Clinic indicates that chewing gum helps in burning 11 calories within an hour and thus 100 calories is assured to be burned when gum is chewed for 12 hours a day. Before getting ready for breakfast, you may opt to take a walk around the neighborhood. This act helps in boosting human metabolism and begins burning calories that are from the previous day. A quick speed walk will simply burn 100 calories and will help you maintain a healthy figure. Elevators may be fast if you are in a hurry to the office or rushing for a meeting. However, given a choice, it is preferable to start using the stairs, which can help you build your physique. It has been indicated that 7 to 10 calories per minute can be burned if you opt to climb the stairs. Thus, in just about 10 minutes, 100 calories may be burnt. Scientific research conducted by Vanderbilt University Medical Center researchers regarding the effect of laughing on weight loss proved concretely that 10 to 40 calories are burned when you laugh for about 10 to 15 minutes. Besides burning some calories, laughter is beneficial to our health in more than one way. Compendium of Physical Studies has stated that jumping rope for about 10 minutes can burn a reasonable amount of calories, and if someone is hunting for a rapid method to burn 100 calories, jumping rope serves to be the top-most successful workout for burning those extra calories. For a 160-pound person, 60 minutes of jumping rope amounts to about 730 calories burned. Gardening tasks, like digging, lawn and shrub trimming, planting, weeding, and moving the waste with the help of wheelbarrow, are really helpful in burning those additional calories. In fact, a half an hour of manual weeding will actually burn 150 calories. Apart from burning calories, the body also receives a good dose of vitamin D supply from the sun. A standard game length in table tennis is 22 minutes, which is sufficient to activity to burn 100 calories. While playing Frisbee or bowling, 54 calories are burned in 15 minutes. A bowling game with a partner is another effective way to drop some calories. Exercise holds a massive role in maintaining proper blood sugar and helps in losing weight. With the above-mentioned pointers, any individual can burn calories easily through certain daily activities. Individuals who are not used to going to the gym or are not interested in formal exercising may opt for such simple and effective methods in order to reduce 100 calories. Lloyd-Jones, D., Adams, R. J., & Brown, T. M. (2010). Health Benefits of Hiking. Circulation, 121, e1-e170.